4 WHEEL DRIVE! LOW MILES! GREAT PLOW TRUCK FOR YOUR LOT! One Owner Vehicle! HEMI Powered Plow Truck! Great for your lot! Don't miss out on this fantastic Dodge Ram 2500 ST 4 wheel drive truck! 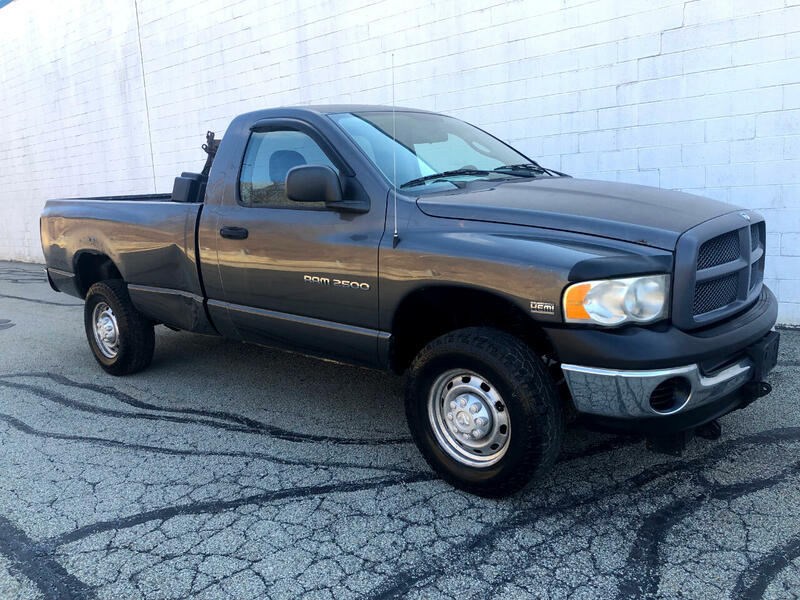 With it's HEMI Magnum 5.7L V8 engine matched with a 5 speed automatic transmission, this Dodge Ram 2500 ST truck has the power and torque to get the job done! Go anywhere in any type of weather with it's 4 wheel drive system! Equipped with manual windows, locks and mirrors, AM/FM stereo, styled wheels, towing package, plow package with blade included! *** This Dodge Ram 2500 has been a plow truck all it's life and will great plow truck for your lot. It is NOT INSPECTED and WILL NEED ADDITIONAL WORK to become road worthy. Being sold "As Is." See salesperson for details. *** Give us a call today at Choice Auto Sales for your personal showing and test drive of this fantastic Dodge Ram 2500 ST 4 wheel drive truck! Message: Thought you might be interested in this 2003 Dodge 2500 HD.